Overview: Matt Linehan ran for a fourth-quarter touchdown and threw for another one in overtime to give the Vandals a 33-30 win over the Rebels last year. 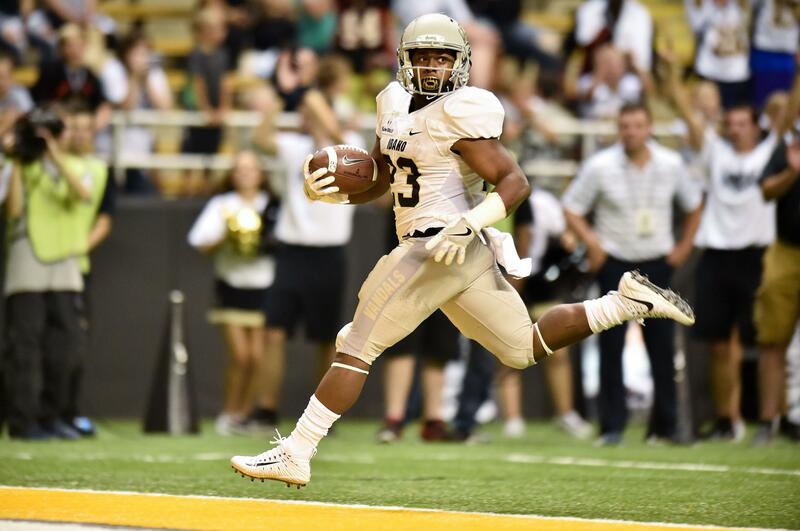 It was Idaho’s first nonconference road win since 2010, and set the tone for the Vandals’ 9-4 season. UNLV was hoping to take a big step forward itself this year after winning four games last year in coach Tony Sanchez’s second season. But a shocking 43-40 loss to Howard, a 45-point underdog, was a devastating start to the season. The Vandals have compiled a six-game winning streak, going back to last season. It is the ninth-longest active streak in the country and is the first time since 1994 the Vandals have won six in a row. Senior running back Aaron Duckworth had a career game last week against Sacramento State with 193 all-purpose yards, including a career high 144 rushing. He turned a short pass reception into a 49-yard gain after breaking three tackles. The play keyed Idaho’s first touchdown after a slow start for the offense. Linehan 14 of 19 passes for 163 yards and two touchdowns, with two interceptions. Idaho holds a 4-3 advantage in its series with UNLV. The Rebels last came to Moscow in 2010. The Vandals enjoyed a 30-7 victory. Published: Sept. 8, 2017, 9:47 p.m.